The clumsiness and unpreparedness of the PM and the government is not just shocking for supporters but for opponents and critics as well. 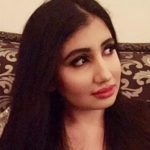 It is because no one including the ones who have been criticizing the PTI bitterly in the past expected the PTI government to be showing such a dithering and amateurish behavior to affairs of the state. Pakistan is facing socio-economic, strategic and administrative issues and challenges. But PTI is instead investing all its attention in superficial and symbolic measures in the name of austerity rather than forming a concrete and substantive strategy and agenda for social and human security and reforms. The problem is not with an austerity and simplicity drive but with the fact that Pakistan is facing more serious issues like poverty, unemployment, inequality, exploitation and problems in education and the health sector. In addition, austerity measures can only be effective if they run down to the lavish official residences of senior military and civil bureaucracy and members of the superior judiciary and their lavish allowances and salaries. But the government’s prime focus since its formal induction has been on chai-biscuits in the cabinet, auction of cars and living or not living in the PM House. These things are good for symbolic reflection but too much emphasis, reiteration and drum-beating has not only rendered it meaningless but vain also because people want relief. And it is ironic how certain actions of the government have gone in complete antithesis to this proposition of simplicity. These non-issues becoming issues have resultantly created an atmosphere of uncertainty, doubts and disbelief. It is certainly early to expect results but not early for the government to come up with clear plans and structures. Keeping plans aside, the government has alarmingly not yet come up with a policy direction. The lucrative posts in the cabinet have been awarded to representatives of the status quo and turncoats as 9 out of 15 Cabinet Members and 3 out of 5 advisors are the same as in the Musharraf cabinet. The fact that the technocrats who were part of General Musharraf’s regime and even in the PML-N’s previous government have been inducted raises questions to the credibility of Naya Pakistan that has clearly capitulated to the old traditions, people and practices. The appointment of Usman Buzdar as Chief Minister of Punjab and Fayyaz ul Hassan Chauhan as Information Minister of Punjab struck people further. It seems like Usman Buzdar is just a puppet and the strings are actually in the hands of Jahangir Tareen. As far as Fayyaz ul Hassan Chauhan is concerned, he is the true reflection of the social and political culture introduced by PTI and is the ideal option to take forward social media narrative of PTI. The effectiveness with which Imran Khan used the word “reform” in his verbosity during his election campaign made many believe that PTI had a clear direction, indications and a roadmap and would hence waste no time in deciding and implementing policies to usher in tabdeeli (change) that Naya Pakistan promised. But it seems like the PM is finding it hard to understand state affairs and will find it harder to grapple with the internal and external buffeting and pressures. The Economic Advisory Council was reconstituted on September 1 to resolve the economic crisis of the country. The PM appointed Atif Mian, an Ahmadi, as a member of the Economic Advisory Council. 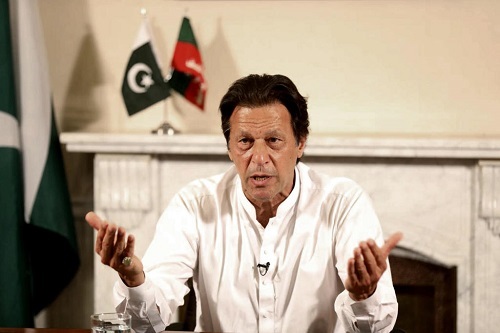 But Imran Khan could not stick to his decision and within days after the formation of the EAC, the PTI government bowed down to bigotry and pressure from the religious right wing and clerics and asked Atif Mian to resign. Similarly, the lack of female representation in EAC and Punjab and KPK cabinets has also received perceptible disapproval by journalists, social activists and women in general. There is no woman in the KPK cabinet and only one in the Punjab cabinet. The PM recently appealed to overseas Pakistanis to contribute $1,000 each to the Diamer-Bhasha Dam. In the past the Musharraf regime’s “President’s Relief Fund” and ex PM Nawaz Sharif’s “Qaraz Utaro Mulk Swaro” schemes were initiated with the cause of paying off the debt of Pakistan through donations as well. For mega-infrastructure projects public donations and crowd-funding is never a pragmatic approach. Populist rhetoric like charity money or bringing back looted money is no substitute for economic policy. Charity cannot thwart economic problems, currency depreciation or debt crisis. No developing country would remain a developing country if donations could prevent economic predicament or meltdown. Economic policy encompassing public finance, global investment, export-oriented industrial base, revival of local production, productive agriculture and trained and skillful human resources is the need of the hour. Furthermore, the defence budget should be cut and spent on systematic and structural reforms. Meanwhile, an amateur diplomatic approach has caused Pakistan embarrassment on a global stage. Foreign Minister Shah Mehmood Qureshi’s misinterpretation of Narendra Modi’s letter to Imran Khan that New Delhi was willing to resume bilateral talks resulted in an embarrassing situation. Not just this, it was reported that the PM refused to take a call from the French president while he was busy talking to a group of journalists. Moreover, the meeting with US Secretary of State Mike Pompeo failed to yield any results for Pakistan as opposed to the perception that was given earlier. Even the ineptness of the current government regarding international contracts like CPEC and LNG contract with Qatar is highly disconcerting. The cluelessness of the government, despite enjoying the support of the military and institutions, is unbelievable. The current government needs to realize that it is not in a dharna or on a container anymore. Mere sloganeering and rhetoric will not be enough. The PTI is in government and should come out of its opposition mode of blaming and criticizing. It is now time for real politics, mature conduct of diplomacy, governance, sound policy, implementation and reforms. My name is Mehrooj Rai and I am from Lahore, Pakistan. I am studying English Literature from University of London. Writing is a passion and it gives me an opportunity to not only escape but create my own world of opinions, ideals and notions. It encourages me to highlight and stress upon the issues that often go unnoticed. I aspire to not only write but write to fuel a constructive change to the misconceptions that are ingrained in our societal curriculum and to reveal how political ideologies are twisted in Pakistan. Certainly anger against the PTI is more then visible in this article. I am sure the writter must be knowing the factual position as to why economy is in such a dilipiddila position and within two weeks the new government can use a magic wand to make everything correct. Amazing to see such new writers completely ignore the actual facts and bombarding the new government which is visibily working in a right direction to cut down cost and recover the looted wealth from abroad . I believe actions taken by the new government are not visible to the writer and she is just using her pen to strike some vengeance upon yet to prove anything wrong government of Pakistan. I Completely support imram Khan and his bold initiatives to end corruption which is one of the biggest menance of this country . I hope to see positive results from the initiatives of government just give them a time of 100 days to deliver.